Feel Flow! is a fusion of two different school of music. Cristian (Z.E.T.A) is an house music producer like soul and deep sounds.. & Luca,one guy from the electro duo project "The BoorKids". Influenced by the french touch sounds,70's groove and more electronic synth, they start this new collaboration for searching a new fresh type of sounds mixing Deephouse,Funky & Electro. 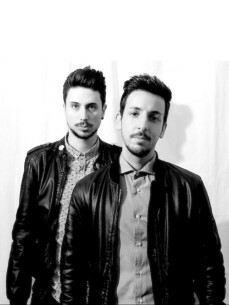 Last year with their debut EP, called "Moustache Ep 01" released on miniMarket Rec. and the hit "One By One" they were valued for their unique sound.